Expanding your reach has never been easier than now with EVX-Link. with greater speed, agility and affordability. Expanding your reach has never been easier than now with EVX-Link. 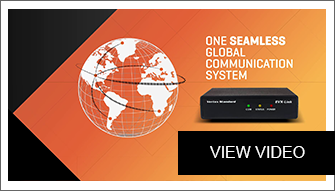 This small and lightweight system offers the latest evolution in digital technology, providing a solution with greater speed, agility and affordability. EVX-Link allows digital DMR radios to connect faster and with multiple coverage areas easily and seamlessly regardless of geography. EVX-Link is also portable and expandable and can be installed virtually in any situation possible. Users also don't need to replace any infrastructure or employ a repeater. EVX-Link is also more cost-effective than traditional systems using IP connections and works with any DMY digital platform. EVX-Link is the next evolution in expanding your reach. A significant difference between EVX-Link and other similar products in the market is that no repeater is required. The unique features of the EVX-Link system work with either on-site or repeater-based systems- or a mix of both. Best of all, it's easy to install with no disruption to current systems and is very cost effective.